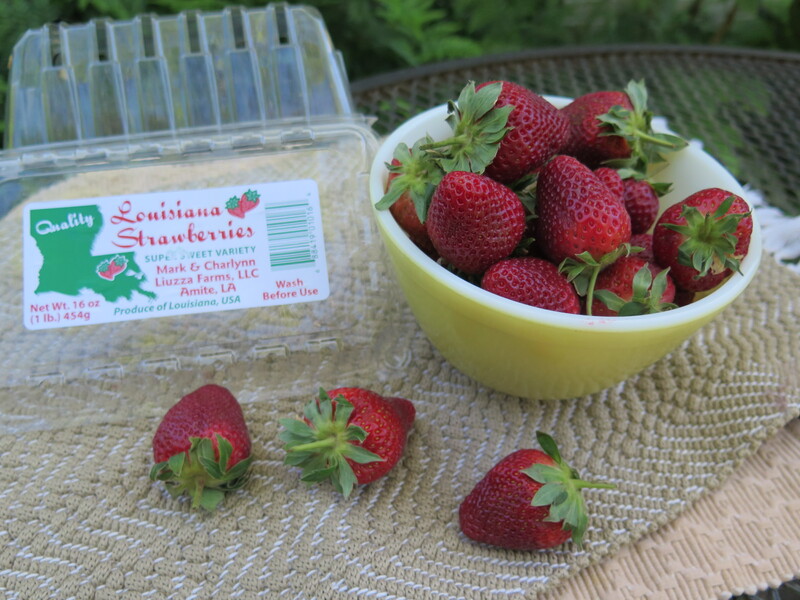 Louisiana strawberries are in their prime in March and April. I found some beautiful ones at my neighborhood grocery store. They are sweet, juicy and full of aromatic flavor. It it is rewarding to “buy locally” and I don’t find that you get the same flavor when they are shipped in. 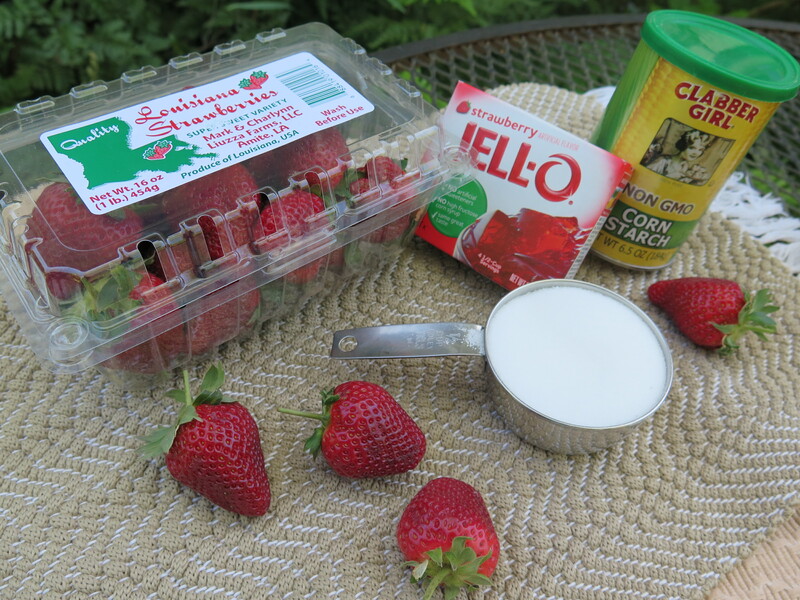 Strawberries are grown in Louisiana in Livingston and Tangipahoa Parishes, primarily on small farms. Some of these are 4th generation farmers, many are of Hungarian and Italian descent. I remember years ago that when the harvest was almost finished, farmers would open up their fields and allow you to come pick your own strawberries. One year we tried this. The strawberries were huge and delicious. My 4-year-old son entertained himself by running up and down the rows, smashing any strawberries that were in his way. I was too busy picking berries to give him much attention. But he eventually he got the message. Unfortunately, the crop in Louisiana is declining. It is difficult to make a living on small farms and the cost of plants, supplies and labor makes it challenging. Farmers find it hard to compete with less expensive production from Mexico and California. So we will enjoy local strawberries while we can. Bonnie doesn’t remember when she started making this recipe — it was many years ago when she clipped the recipe from a newspaper. It shows that potatoes cost $0.39 for 20 ounces and corn was $.0.79 for 6 ears. Hard to believe the cost of food was so inexpensive at one time. With a little sleuth work, Bonnie found the recipe. Only librarians can do that. It was published in the Morning Advocate, Food Section, May 1, 1980. Bonnie traditionally makes the recipe for an Easter Sunday meal. The recipe has a fun twist. 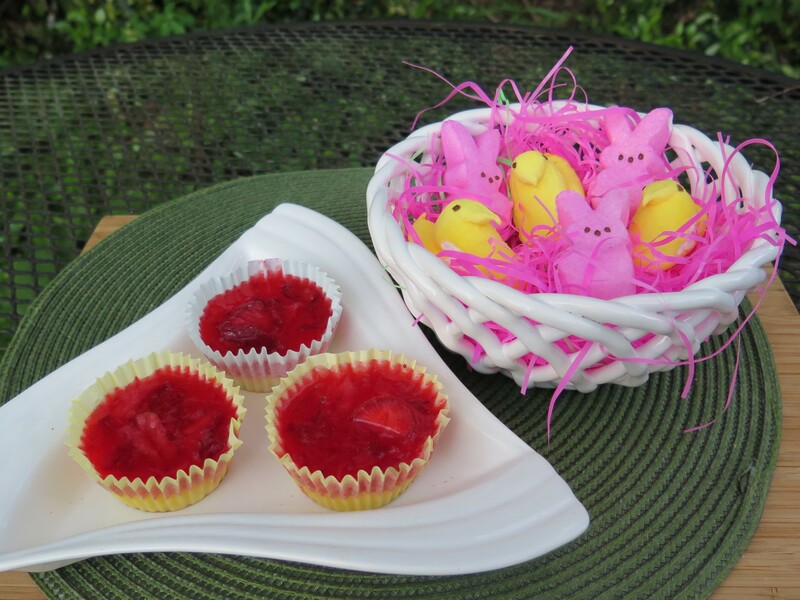 The miniature cheesecakes are baked in cupcake tins. A vanilla wafer is used for the crust in place of a traditional graham cracker crust. The filling consists of cream cheese, eggs, sugar, lemon juice and vanilla extract. These are blended together, poured into the shells and baked. The top layer consists of strawberry jello, sugar, cornstarch and water. 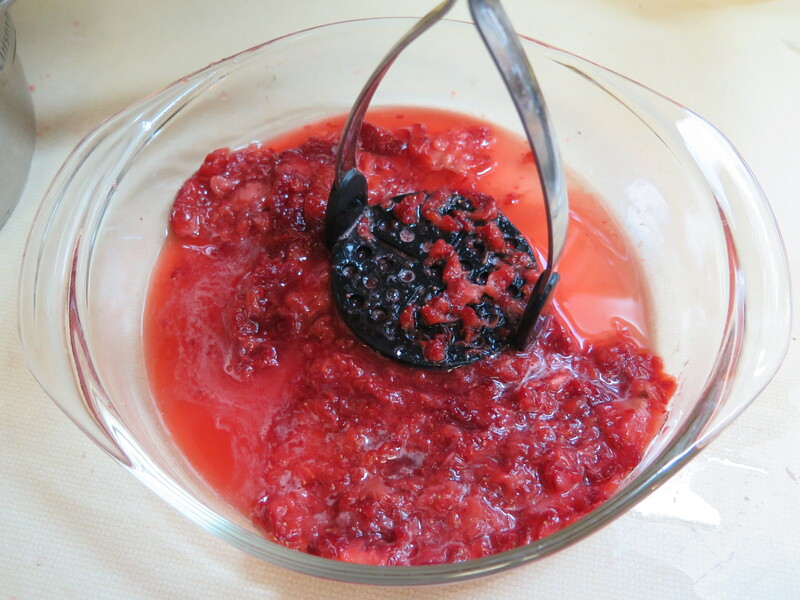 Cook this mixture over medium heat until until the jello and cornstarch becomes clear and starts to thicken about 10 to 15 minutes – stirring almost constantly, then cool. (I put the pot in an ice bath to speed this up.) This really won’t thicken completely until the jello is chilled. 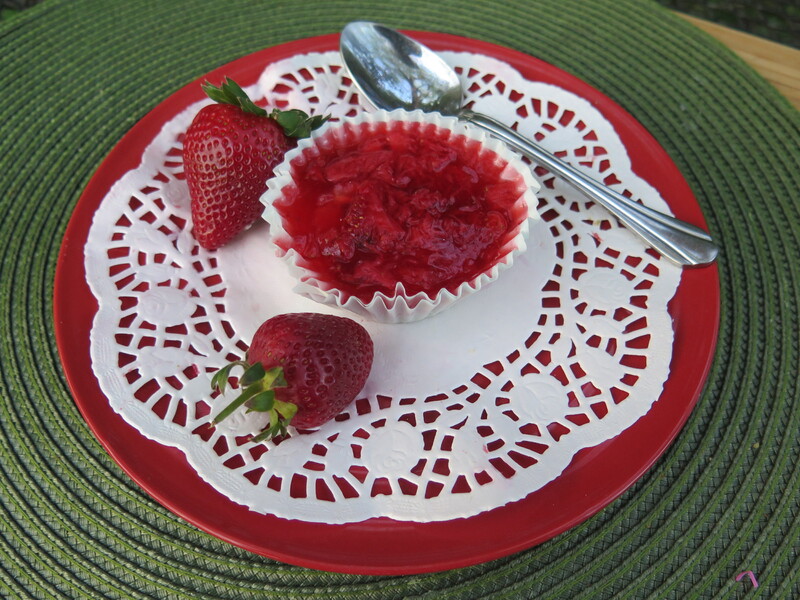 Fold in mashed strawberries.I found it difficult to fold sliced strawberries into the jello mix. So did Bonnie. She slices strawberries, layers them on the cheesecake and then spoons jello on top and chills. I mashed the strawberries and combined them with the jello and spooned this on the cheesecake layer. Either method works. Pour into the liners with the baked cheesecake filling and chill completely. 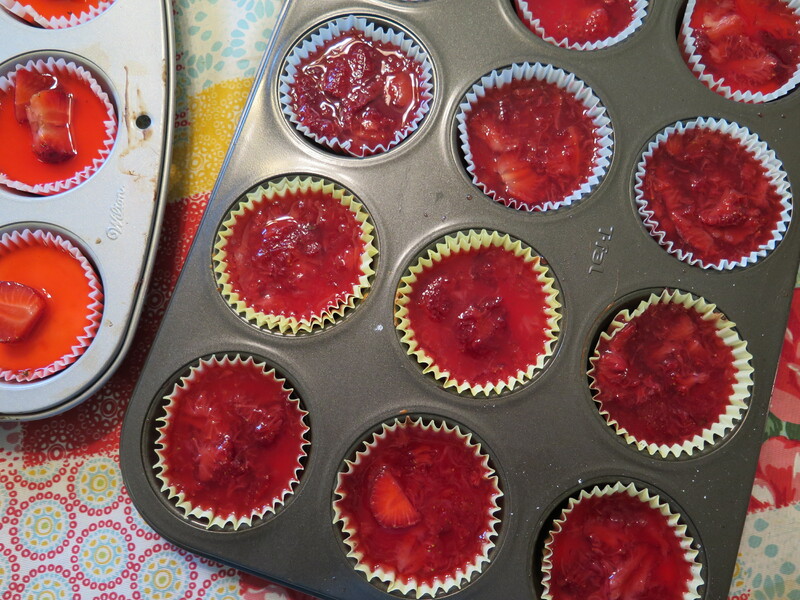 The aromatic strawberry topping goes well with the lemony cheesecake filling. A good recipe for Easter. And for a Passover version, use the almond flour crust of last week’s post for the crust. Put about 2 Tbsp in each liner, bake for 10 minutes prior to adding the cheesecake filling. Enjoy! 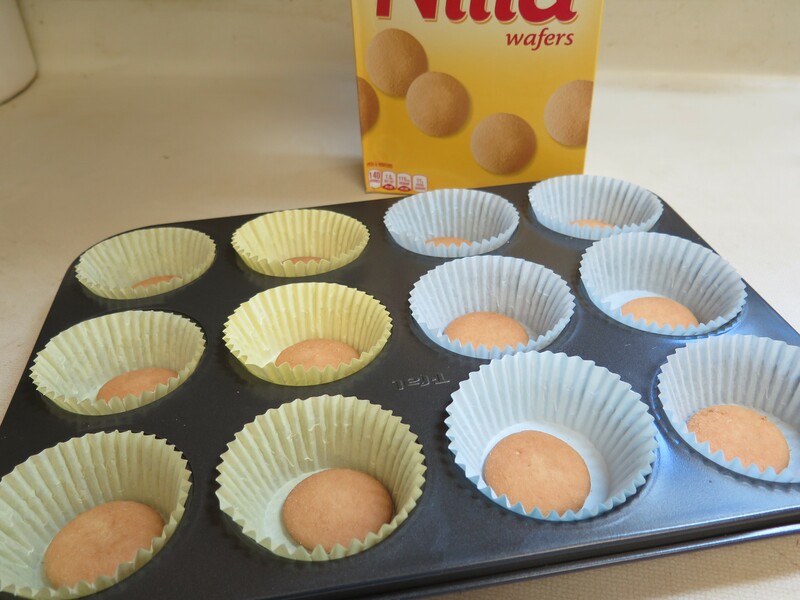 Place 1 vanilla water in the bottom of 24 standard size cupcake liners. . 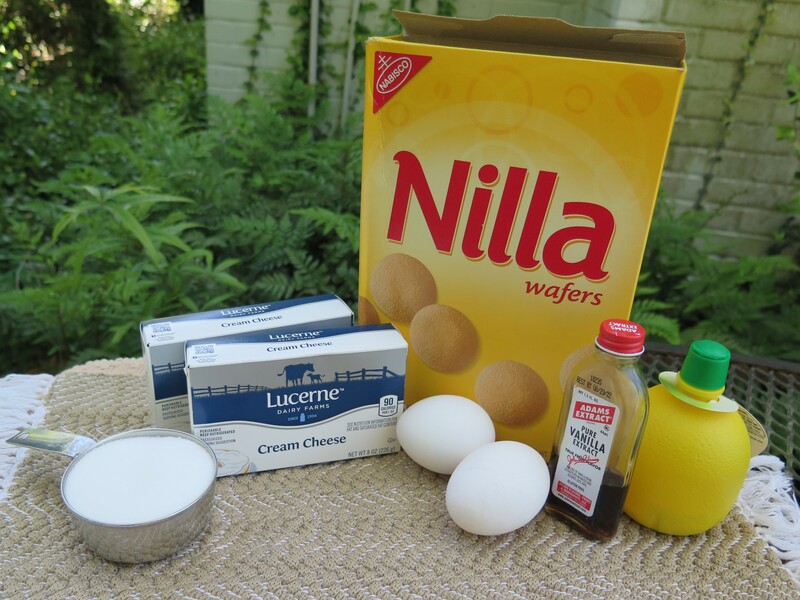 Cream cheese, 3/4 cup sugar, eggs, lemon juice and vanilla extract. Pour abut 2 Tbsp into each liner on top of vanilla wafers. Remove from oven and cool. Leave in liners in cupcake tins. Set aside. 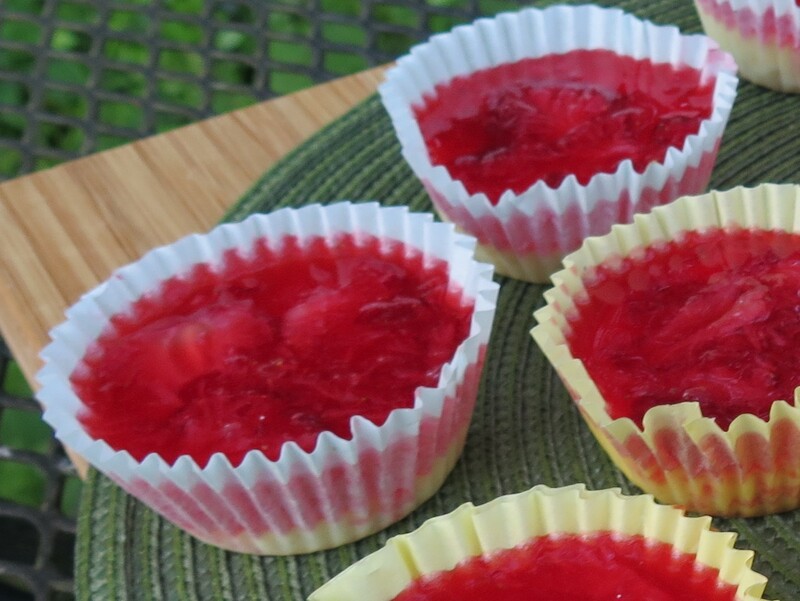 To make top layer, mix 2/3 cup sugar, cornstarch and strawberry jello in medium-size heavy pot. Add 2 cups water and cook and stir over medium-high heat until mixture thickens, about 10 to 15 minutes. Stir frequently. Mash strawberries and fold into jello mixture. .
Top each cheesecake with about 2 Tbsp of the jello and strawberry mixture. Alternately, slice strawberries and layer on top of the cheesecake, then spoon jello mixture on top. Best when served the day made. This entry was posted in Family Favorites, Louisiana Culture, Recipes, Will It grow in Louisiana? and tagged Easter. 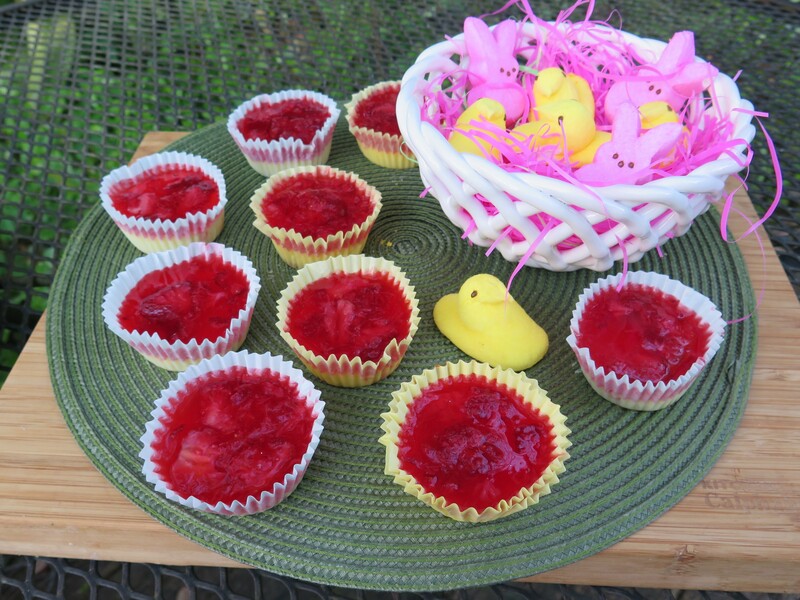 Louisiana strawberries, mini-cheesecakes by Maylee at Beyond Gumbo. Bookmark the permalink.